Ha Full Disk 11th November - SolarChat! There were some cloud breaks later in Sunday afternoon, and I was able to observe the sun through an open door way as it made it's way towards the horizon. 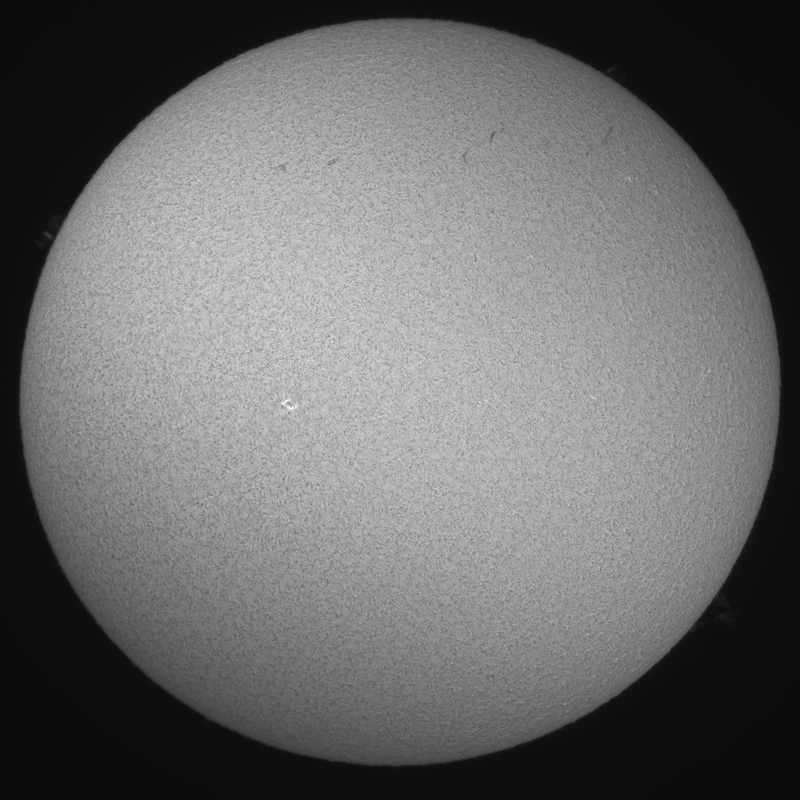 It has been a while since i've got any solar in and it was nice to stand and observe visually for a while before snapping a quick full disk. Taken with a DS50 scope with the Chameleon 3 camera. There were nice proms and a small emerging flux region mid disk. There was still a bright point where the small spot from cycle 25 emerged. Nice disc, Mark, with lot of details for a solar minimum. 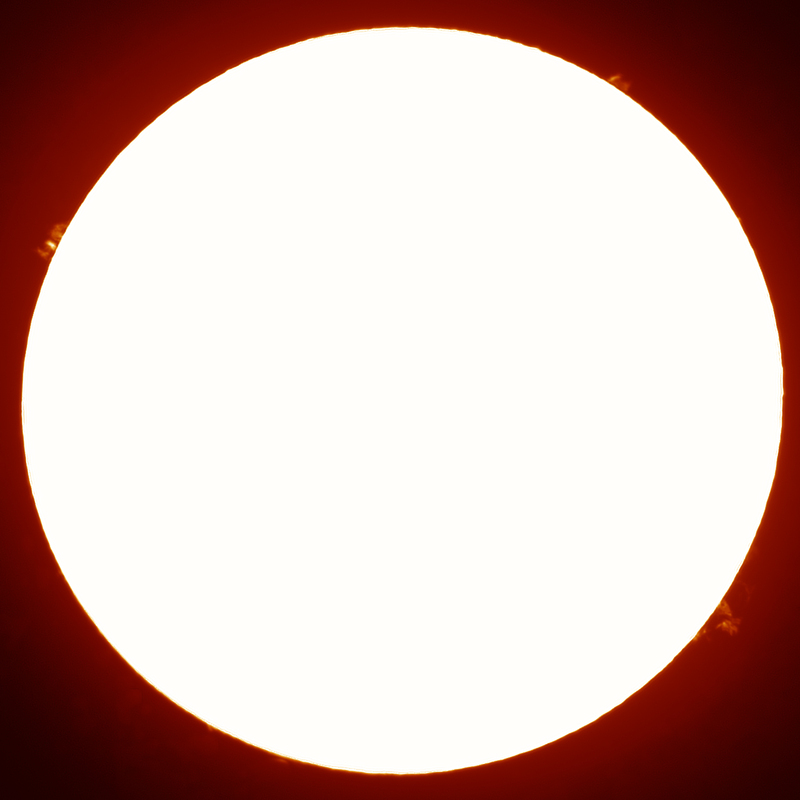 The bright zone on the left of the center disc has now evolved in a B-class sunspot group. It is bright in UV and SE of it another bright patch is developing. Beautiful pair, Mark, with lots of detail. Lovely ! Nice one, Mark. Imaging can be such a challenge in the autumn/winter months. You did a very fine job! Thanks everyone! I did a prom shot too. They looked great visually in single stack. 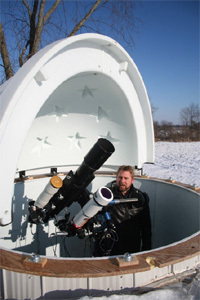 It is a pair of external Lunt 50 etalons - a ls50c and a ls50fha.